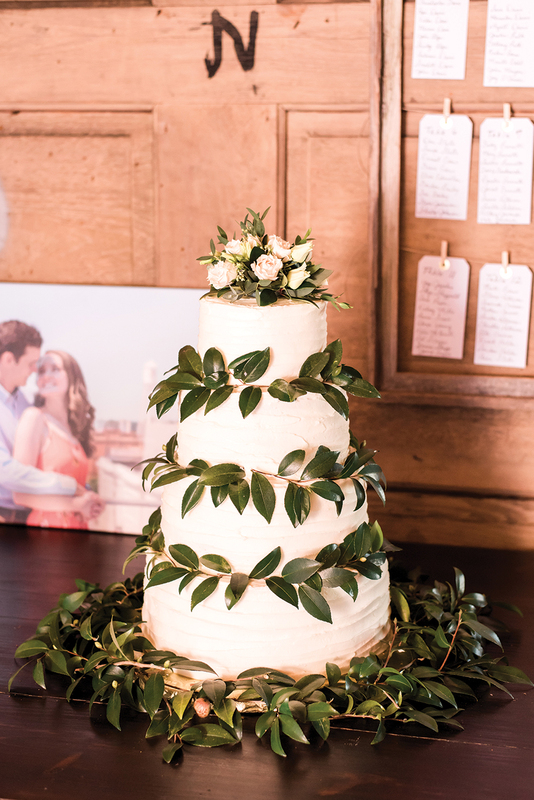 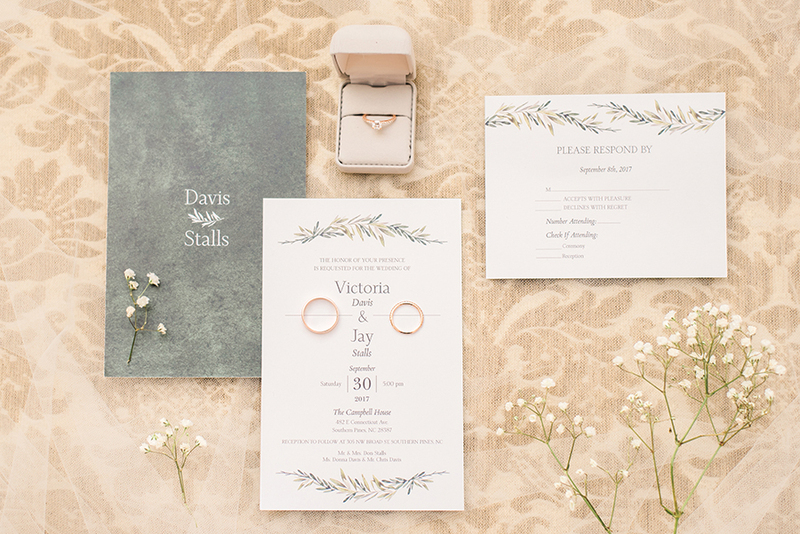 After a foliage-filled proposal in the secluded Biltmore Estate gardens, Moore County natives Victoria and Jay Stalls desired a wedding with abundant greenery and soft colors. 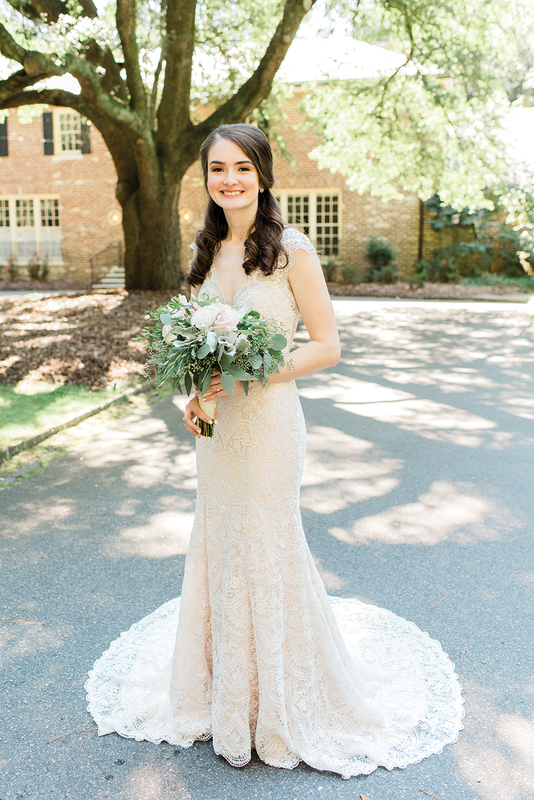 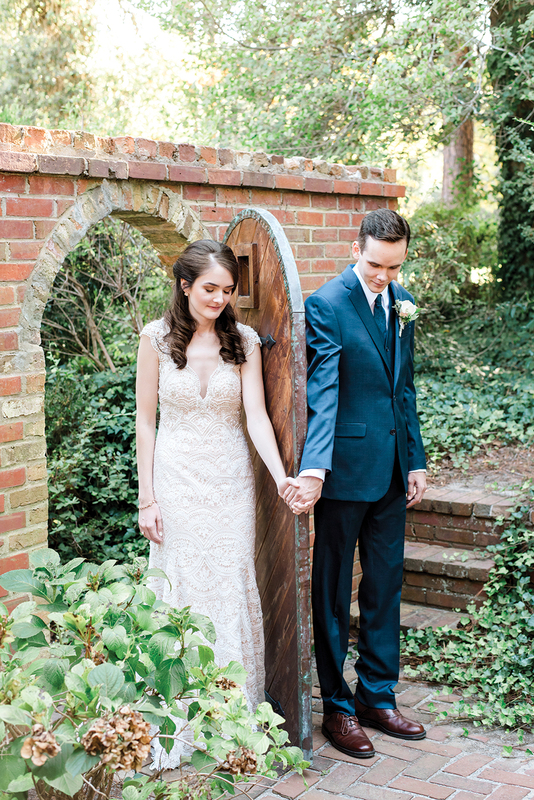 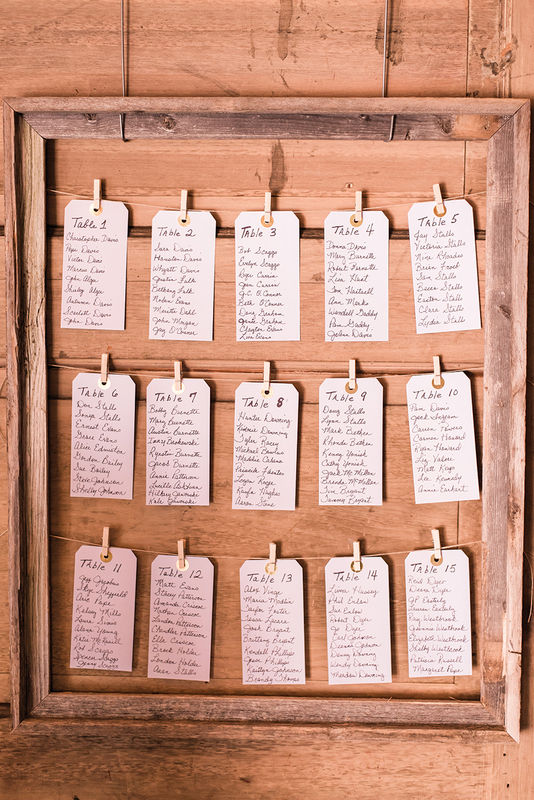 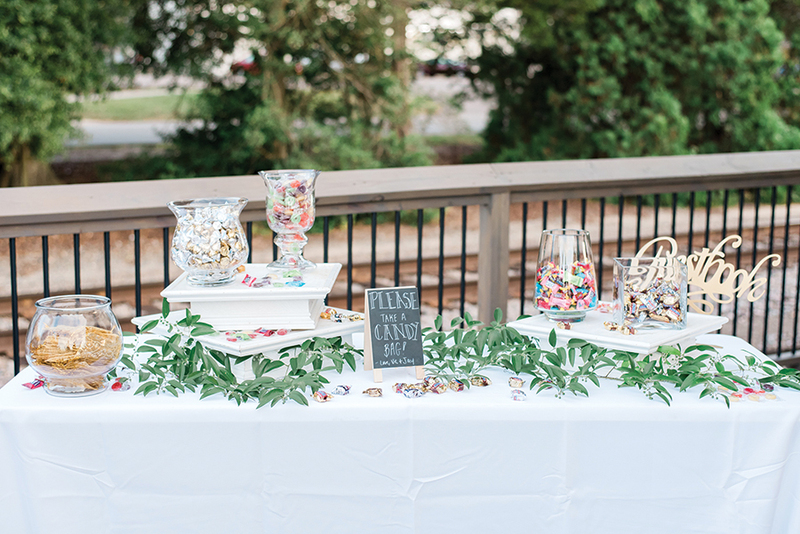 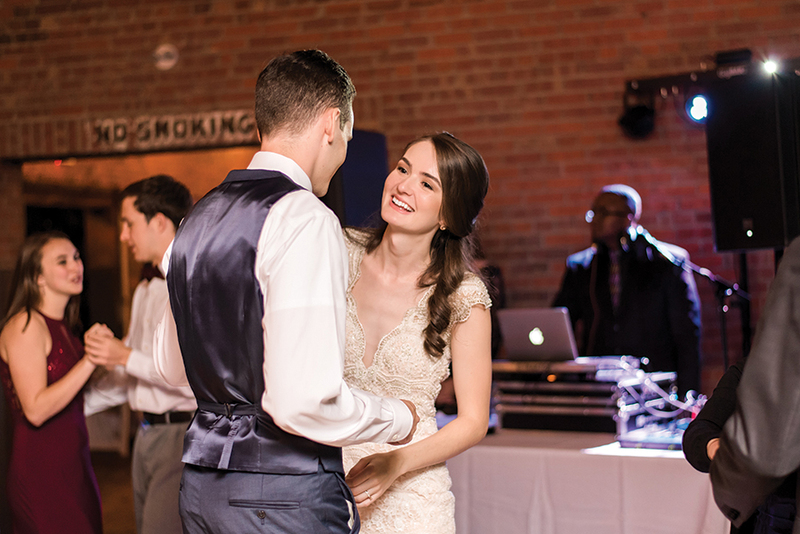 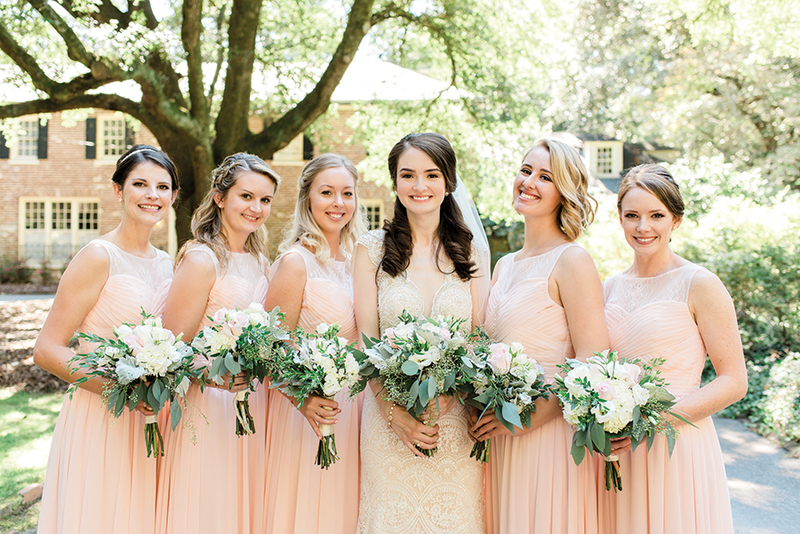 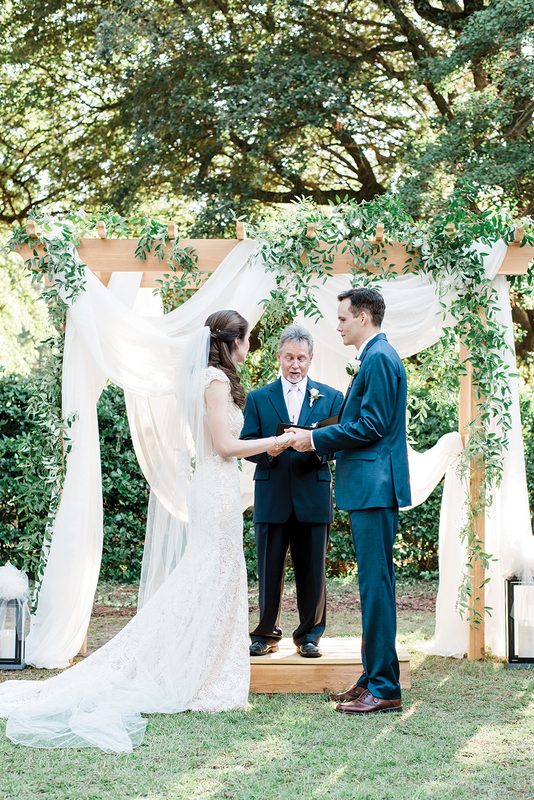 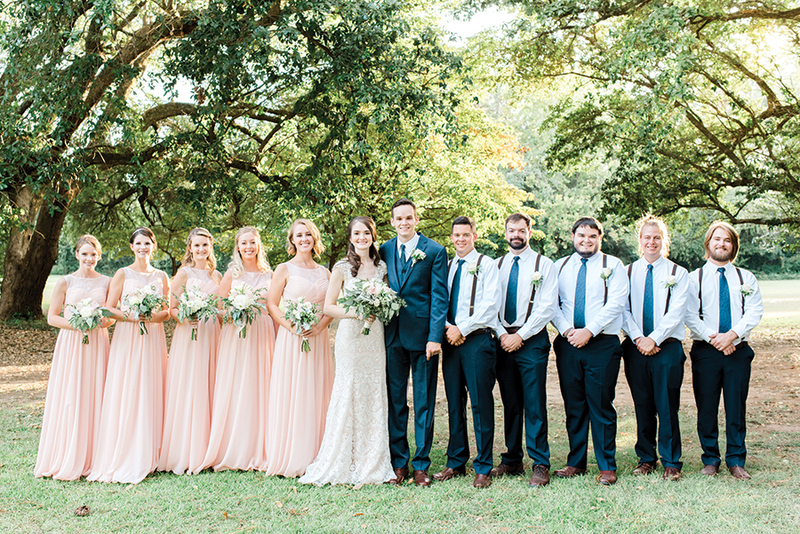 They found the ideal outdoor venue at Campbell House in Southern Pines and decorated their special day in navy and blush colors reminiscent of a springtime garden. 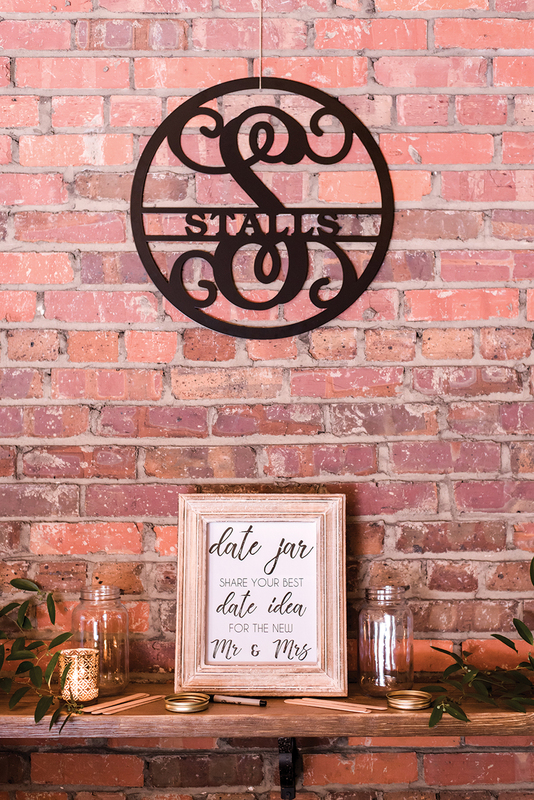 Under an arbor hand-crafted by the groom’s father, surrounded by late September greenery, the couple said “I Do.” The lushly simple celebration remained true to the Stalls’ style, and their outdoor wedding concluded with a reception at 305 Trackside, marking the first wedding event held at the location.